Birthday parties don’t get much easier than this. All the fun and play of a fantastic craft and you get the leave the mess with us! 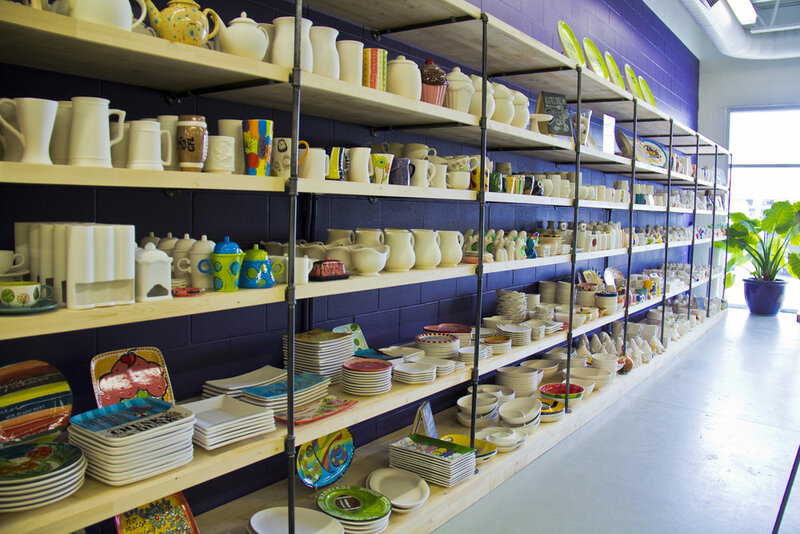 If you are looking for creative birthday party ideas for your guest of honor, let us show you how fun and easy a birthday party at Wet Paint Pottery can be. We’ve hosted 1000’s of birthday parties. We know how to keep your guests excited and engaged. You choose the date and type of party; pottery, canvas or splatter, and then let our fabulous staff walk your guests through the chosen project step-by-step. Our pottery parties get the creativity flowing. Guests choose and paint their own special pottery piece and craft a one-of-a-kind hand-painted creation. 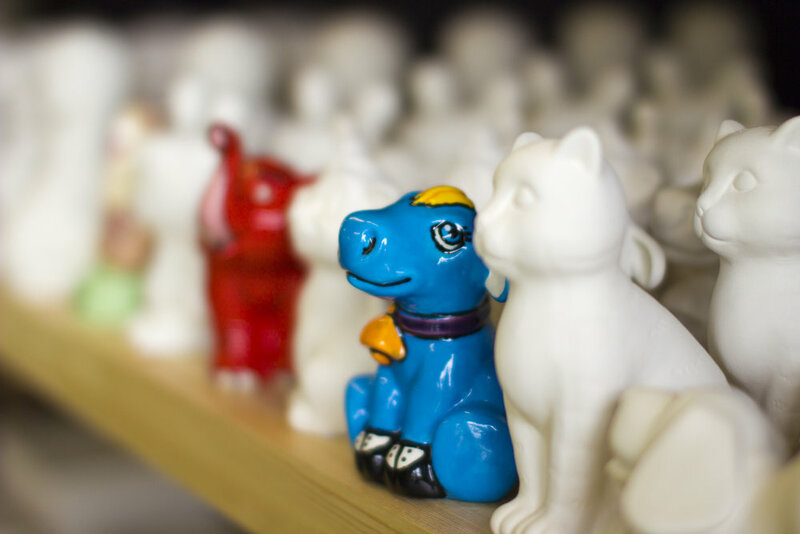 To start your pottery creation, choose from hundreds of shapes and styles. After its painted leave it with us for 5 days to be fired to a shiny, food-safe finish. Cost: $10 per person plus cost of pottery. No extra fees for room rental! Canvas parties are all the rage! Guests will paint their own 16 X 20 canvas drawstring bag (perfect for sleepovers, soccer shoes and everything in between). Best of all guests get to take their bag home with them the same day; it's like a gift for them too! NOTE: Paint shirts are provided but these paints do stain. You don't want to try this at home!! 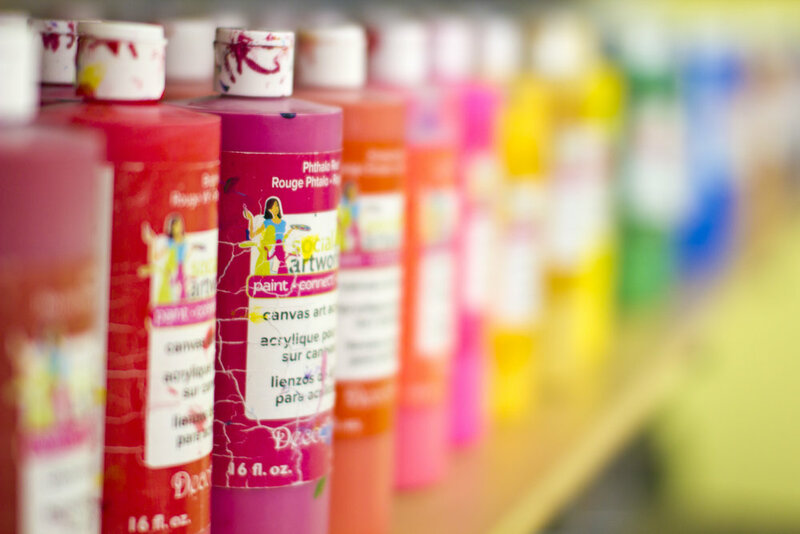 We'll outfit your party crew in protective gear and let them throw paint! Each guest gets their own 9 X 12 ready-to-display rigid canvas to take home with them the day of the party. Accommodation and seating for 8-20 guests. Two full hours of studio time. A staff member to assist you with your party. Paint, supplies, glazing, and firing. A special party gift for the guest of honor. The host may bring cake and drinks for the party. A fridge and freezer is available to the host. Canvas and splatter pieces can go home with guests the day of the party. Pottery pieces will be ready to be picked up by the host 5 days after the party.